The Rebel Sweetheart. : Fruttare | It's All Good! Today has been pretty awesome. I got paid for last month's writing gigs, worked on three new paid posts, received several event invites, did an interview for a Mother's Day feature article (thanks, Kumi! ), and best of all, became Brand Ambassador for Fruttare! Made from real fruit and creamy milk, Fruttare is bound to be your best buddy during the hot summer months. Its vibrant colors, rich taste, and cold touch makes it the ultimate refresher. And it's all natural, too - no artificial colors, no artificial flavors. Just the goodness of milk and the colors of fruit blending deliciously in every Fruttare bar. And in celebration of Fruttare's debut in the US, Grammy-Award winning superstar Ne-Yo and platinum-selling artist Cher Lloyd have teamed up to create an original song for the brand. The good part? Us fans are being given this rare opportunity to help create this song! By simply sharing your 'it's all good' moments in Fruttare's Facebook Page, your happy thoughts and pretty pictures could very well be the inspiration for Ne-Yo and Cher Lloyd's song! These are just some of my #itsallgood moments. You know what I always say - imbibe postivity! Make the most out of a bad situation. Never let negativity bring you down. Make lemonade out of life's lemons! 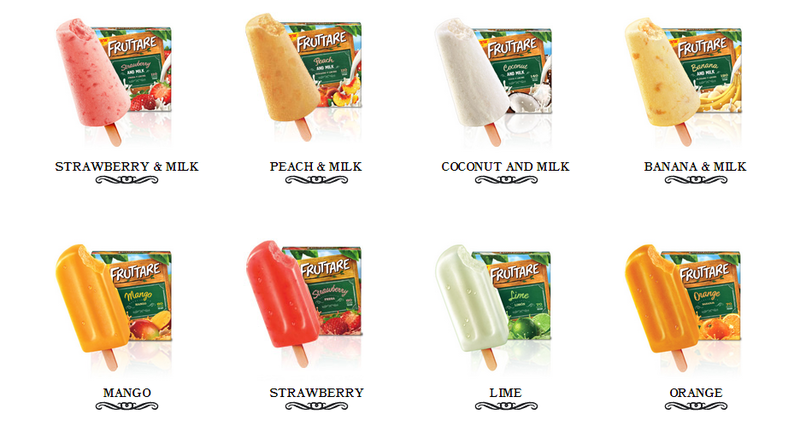 Is Fruttare available in the Philppines? I think the photos of it look delicious. I definitely want to eat it! Thanks, Pamela! Have a wonderful, #itsallgood weekend! One look and I know it's yummy! I want to try. Sounds like things are going great for you. :) Those flavors look & sound delicious! I'm craving the Mango one. I hope for more goods things for you. Congrats for being Fruttare. I'm gonna love this as I prefer the fruity type of sweetness compared to the chocolatey taste of some ice cream. You have a pretty good day mam.wish your everyday went so cool. Those are perfect for the summer. The fruity flavors are sure to cool one off. This one is worth a try! sana meron na niyan dito sa Davao, can't wait! cool! one very busy mom! congrats!! You should give Chunks O' Fruti bars a try. They're way better and have fruit as the first ingredient!